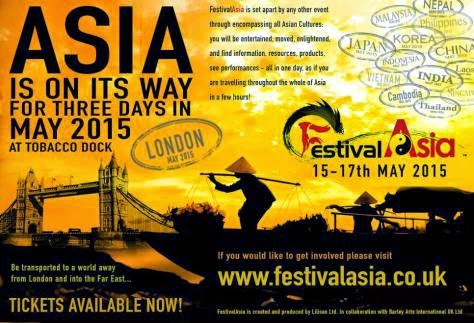 The unforgettable wonders of the Indonesian Archipelago will be showcased along with other cultural splendors of Asia in the first ever Festival Asia, scheduled to take place from 15th to 17th May 2015 at Tobacco Dock, in London, a fantastic venue filled with creative ambience. Carrying the theme “Wonderful Emerald of the Equator”, the Indonesian Pavilion will present the country's fascinating cultural diversity that include food, fashion, spirituality, the arts, dance and music performances, artifacts, health and spa stalls, clothes, herbs and spices, children entertainment, travel, and much more. The rich diverse cultures of Indonesia, - a nation of a quarter billion people with 1,128 ethnic groups speaking over hundreds of dialects spread over 13,000 islands in three different time zones will be represented in a 173,5 square meter pavilion. While the country is definitely blessed with an abundance of natural resources, the true richness of Indonesia lies within its people, its traditions, and culture. The Indonesian pavilion will also feature special performances of Wonderful Sasando Music by Djitron Pah, Batik Violinist, a Wonderful Indonesia Fashion Carnival, Rumah Kreatif Nusantara (an Indonesian traditional-contemporary dance group), and the Wonderful Pencak Silat Martial Art by the International Pencak Silat Federation (PERSILAT). While In the Culinary section, Chef Gede, Executive Chef of famed Potato Head in Bali will perform fruit carving demos with Java Kitchen providing a glimpse of Indonesian Street Food. Experience. Meantime, Indonesia’s renowned film director, Eugene Panji together with TShirt Art Work will also give an insight into Indonesia’s creative industry. The Indonesian Pavillion in this Event is a collaborative promotional effort by the Ministry of Tourism of Indonesia, the Embassy of the Republic of Indonesia in London, and Gapura Limited. The objective of the participation is to showcase, promote, and sustain distinct Indonesian “flavors” in the international community, especially in London and the UK. Its participation is also intended to promote Indonesia as a prime tourist destination which is expected to draw more international tourists, in particular Europeans, to visit the archipelago.